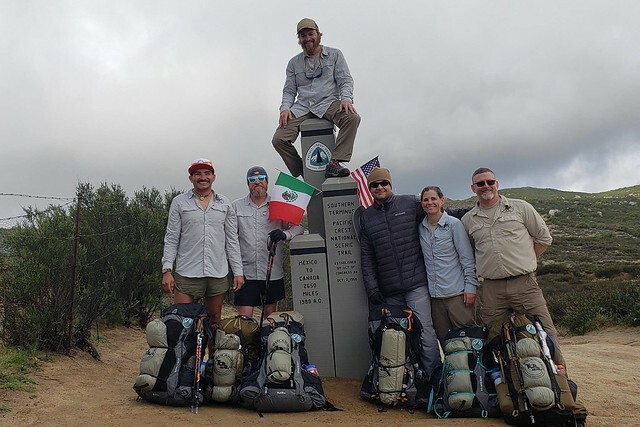 Jackie has left Grand Junction on an ambitious project; she plans to hike the entire Pacific Crest trail from Mexico to Canada. But not alone. It’s through Warrior Expeditions, an organization of returned soldiers and Marines who served in combat in Iraq and Afghanistan and who need to work out the stresses of warfare. She met someone who had gone through this program when she was in South Carolina a couple of months ago. He urged her to apply and we’re honored that she was selected, since she is the only woman on this trip. Since it’s a charitable organization, they provide all the support and gear at no cost to her. Here’s a picture of the others she will be hiking with. See if you can pick her out without looking at the names…. 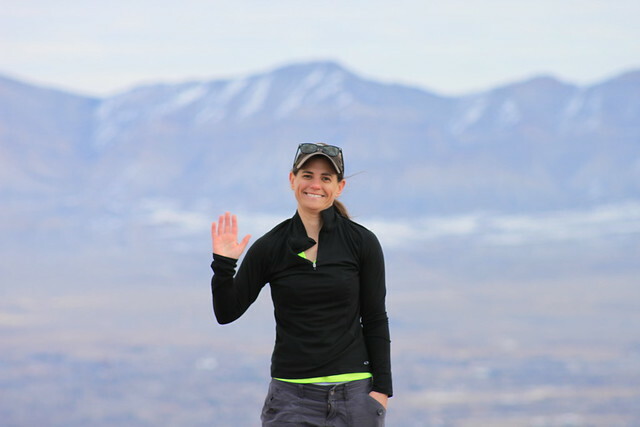 She has started a blog about her journey; Here’s the link: https://jackiehikesthepct.com/. If everything goes according to plan, she should be ending her trip in Vancouver sometime in early September. We’re going to pick her up. After that, she plans to return to Grand Junction. and sat down to install the IC socket and the IC’s. At that point, KI0G (and the manual, and every suggestion on the listserver) suggest that you jump to section 3.55 of the manual and wind then install the T1 transformer. I had to wind a number of toroids for the Hardrock 50 amplifier I built last summer, and after a while developed a technique that involved sticking the core on a pencil . Unfortunately, that skill has atrophied and I don’t remember exactly how I did it. There are at least 5 YouTube videos on how to do it, and they’re all different. Our meeting was cordial; I’ve known Firmin for years when we both worked in Rifle, and he’s a good guy. However, he seemed primed for this meeting with talking points from higher up, and I learned more from what he didn’t say than what he did. The following comments are my own opinion on this situation, and don’t represent the position of the Bicycle Alliance. Update: Those who have expressed a desire to build this kit: KØGUZ, KDØVDV. I ordered it on November 11, and when it hadn’t arrived by January 1, I emailed QRP-Labs, and received a prompt response that they were holding my kit until the enclosure was shipped to them, and they were having supplier difficulties. I asked them to ship the kit immediately; they did, and it arrived from Sedalia, Missouri in two days. Moral: when you place your order, either don’t order the enclosure at the same time, or ask that they send the electronics and the enclosure separately. 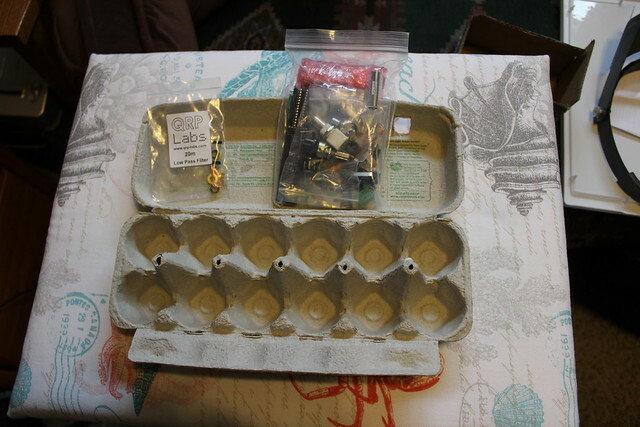 As I mentioned at the last meeting of the Western Colorado Amateur Radio Club, I bought a QRP-labs QCX single band transceiver kit, and hope to build it in time for Field Day this summer. 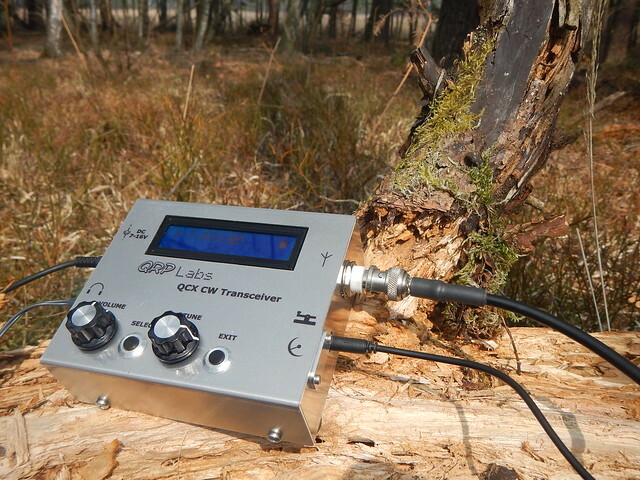 It’s a very sophisticated yet easy to build unit that will let you work the world on 5 watts CW. 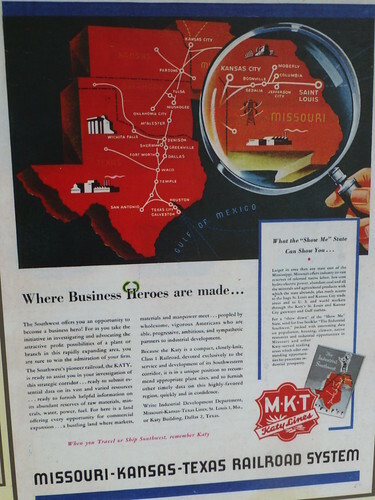 so they promoted a railroad to Parsons, Kansas, then when they were temporarily thwarted at the Oklahoma border because nobody had thought to gain the permission of the Native Americans who owned the land, directed their construction crews towards St. Louis and Kansas City. After a pause at Boonville, more bonds were sold, a massive bridge was constructed across the Missouri, and track crews raced to St. Louis. And the Missouri-Kansas-Texas lines were formed. 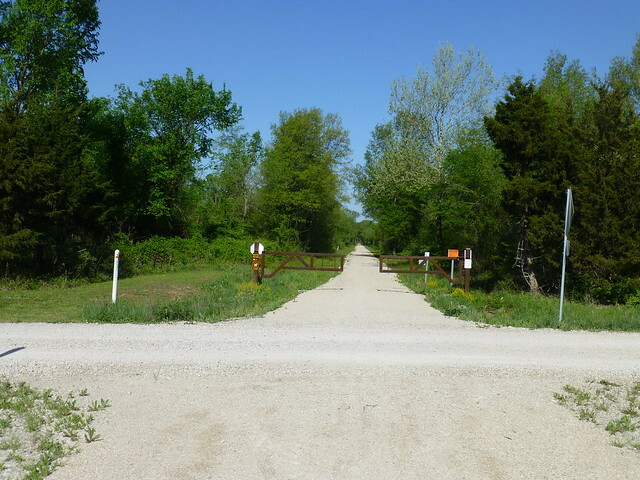 The route from Boonville to Matchens, the eastern end of the line, follows the Missouri River bottom. That’s great for railroading, since it’s astonishingly flat, and has few, gentle curves. But it’s also susceptible to catastrophic floods. Floods wiped out swaths of the railroad several times during the Katy’s 100 years of operation. 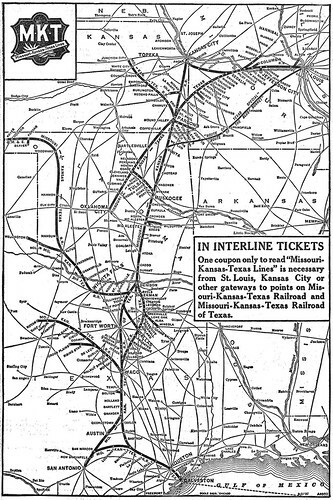 The Missouri portion of the M-K-T railroad never was an overwhelming success, despite the optimistic spin from their PR department (click on the ad to the left to read it), since the line paralleled the older Missouri Pacific, and stopped near St. Louis and near Kansas City, bypassed Jefferson City, and depended to a large extent on seasonal grain shipments for income. And periodic floods wiped out large swaths of the railroad. It went through several reorganizations and bankruptcies. 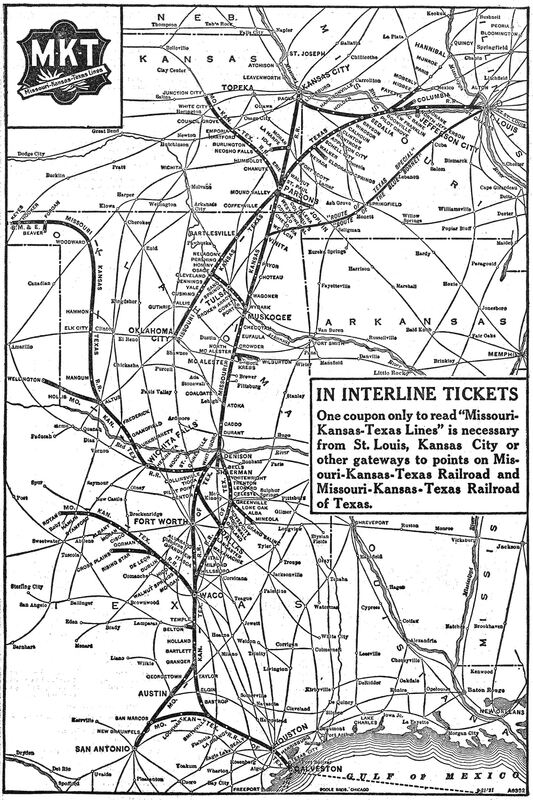 When the railroad was purchased by the Missouri Pacific and then Union Pacific, the Missouri MKT line was doomed, and most of the tracks were abandoned. The last trains ran in 1986. 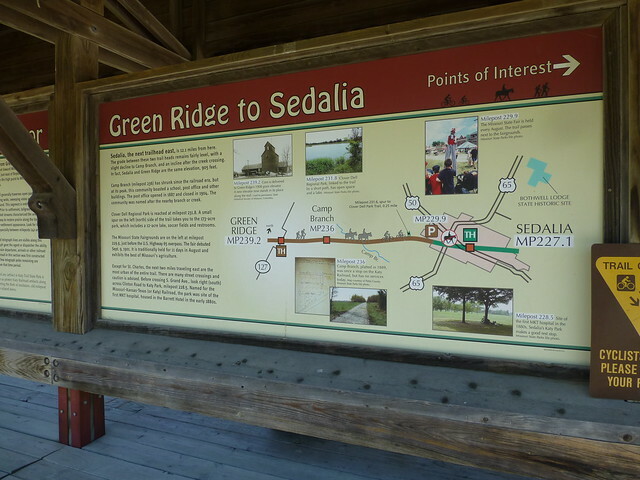 A generous donation (like $2.2M generous) from the son of the founder of the Edward Jones investment company purchased the right of way; in 1991, the Union Pacific donated 33 miles of right of way between Sedalia and Clinton. The first part of the trail was was opened in 1990, and the entire 240 miles has become a state park. Meanwhile, the Rock Island railroad, which also served Kansas City and St. Louis, was abandoned and a portion acquired by Missouri State Parks. 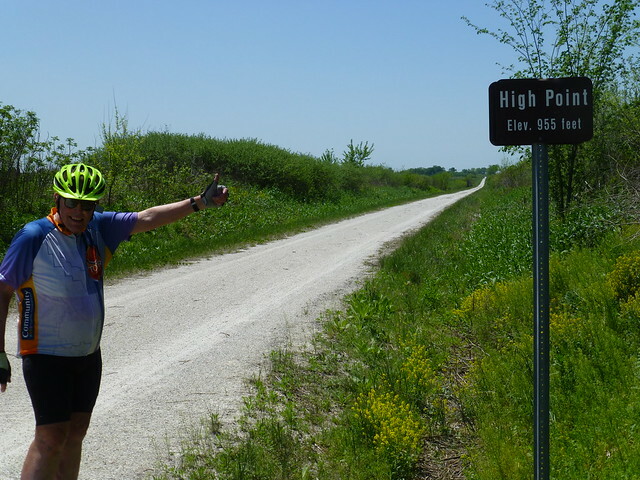 The 47.5 mile segment from Pleasant Hill, about 25 miles from Kansas City, to Windsor was completed last year. 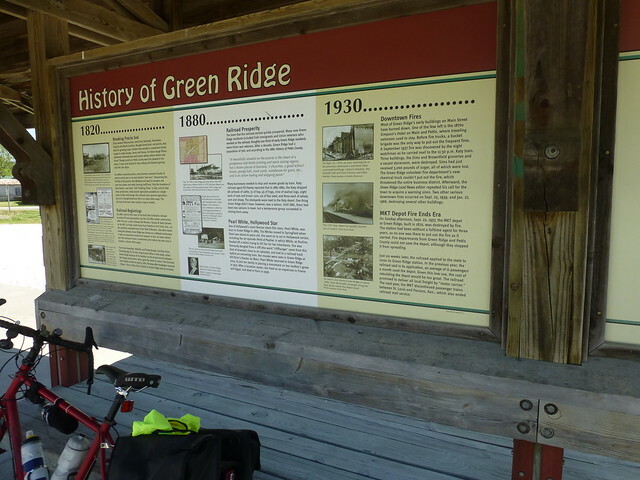 “Trail users are reminded of the trail’s railroad history as they catch glimpses of old telegraph poles and other remnant pieces of the railroad’s past. 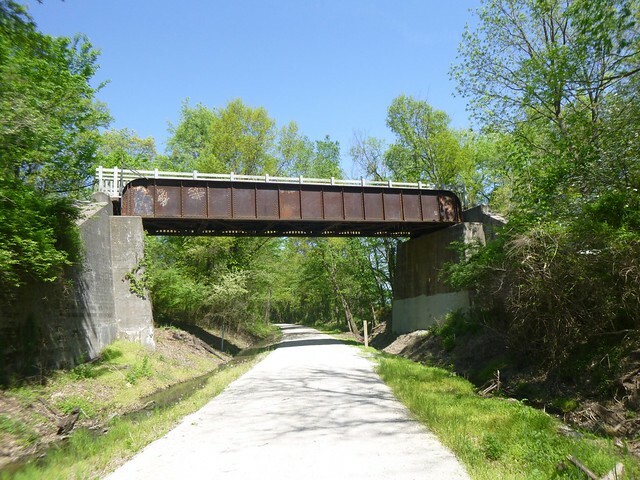 The trail passes over numerous truss bridges on its route. 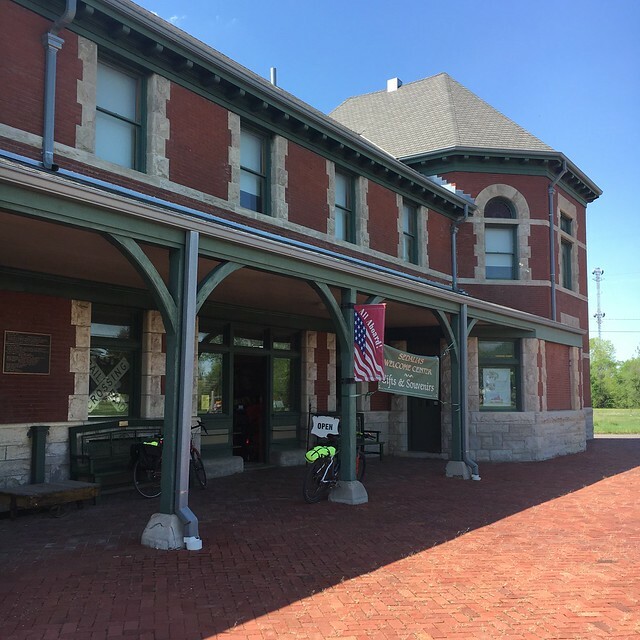 Four fully restored historic depots evoke the bygone grandeur of passenger service on the MKT, while the stone railroad tunnel at Rocheport recalls the ingenuity required to complete the MKT rail line. 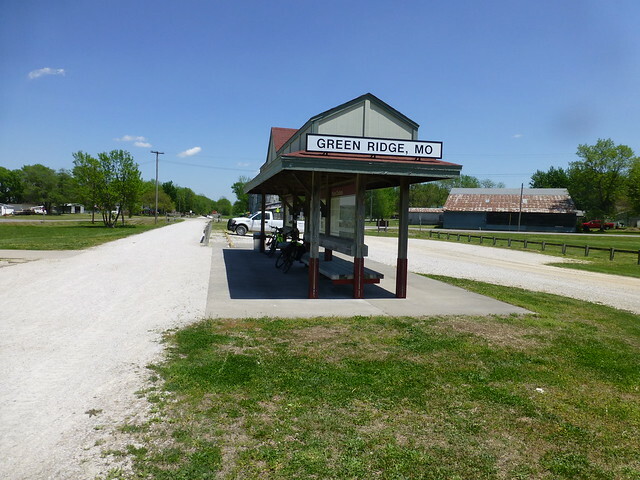 “Katy Trail State Park also takes users through a slice of rural history as it meanders through the small towns that once thrived along the railroad corridor. 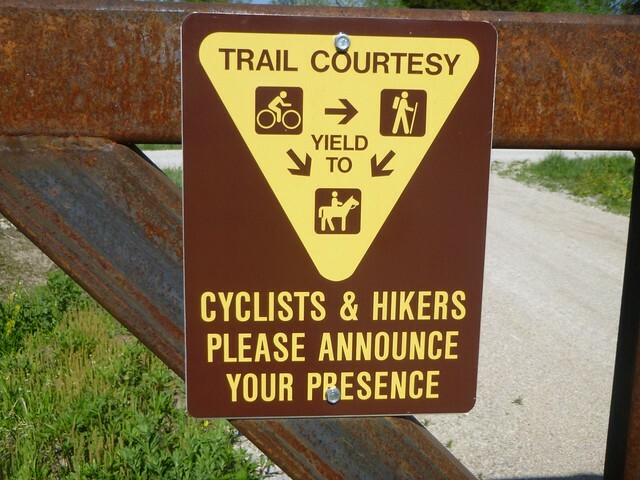 These communities make great places to stop and explore during a visit to the trail, since the majority are located adjacent to designated trailheads. 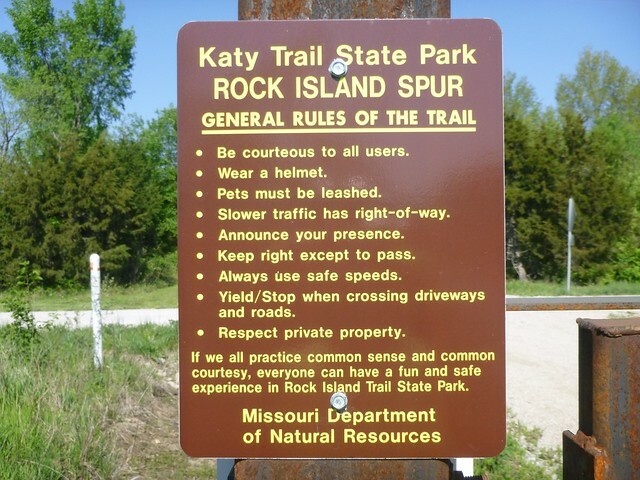 The majority of the Katy Trail closely follows the route of the Missouri River so trail users often find themselves with the river on one side and towering bluffs on the other. 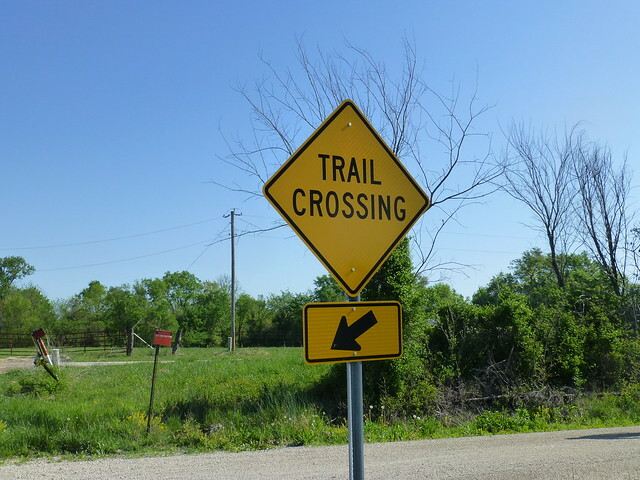 The trail travels through many types of landscapes including dense forests, wetlands, deep valleys, remnant prairies, open pastureland and gently rolling farm fields. In the spring, the trail is brightened with flowering dogwood and redubd, while the fall is colored with the rich reds and oranges of sugar maple, sumac and bittersweet. Now, please join Georgia, Gene, Maggie and me on this adventure. Notes: Scroll down for each day’s diary. If you want to see any photo in more detail, just click on it. All of the Strava links will lead you to more detail, including maps. Please feel free to leave comments. Occasionally you’ll find highlighted text boxes (like this one). Each contains music appropriate for what you’re reading. If you want to listen to the music, just click on the audio player. 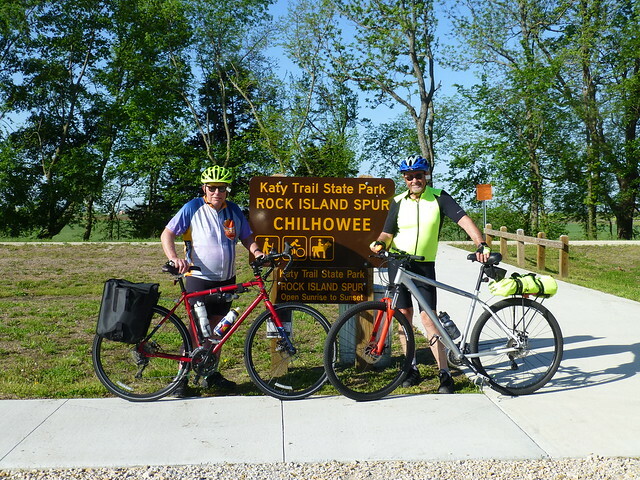 Our first day on the Katy Trail started in tiny Chilhowee,Missouri. We took the Rock Island Spur, a new addition to the state park system, which was dedicated in 2016. 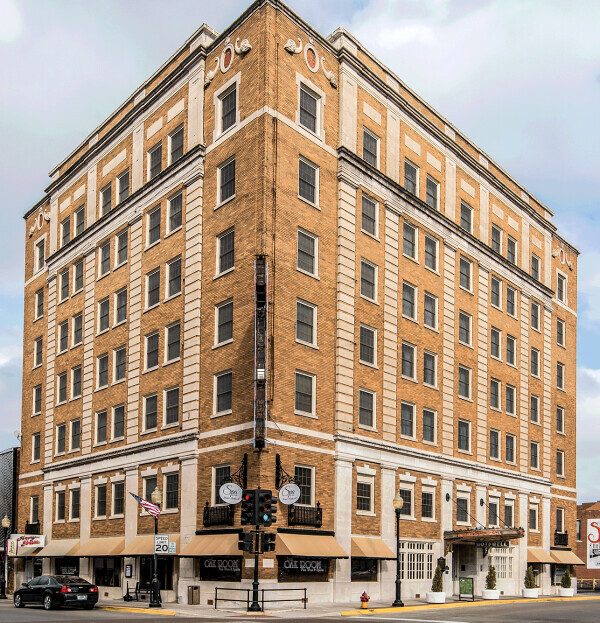 It follows the route of the old Chicago, Rock Island and Pacific railroad. We’d spent the night before in a rustic AirBnB located about 40 miles closer to Kansas City. If we’d started from the AirBnB, our first day’s trip would have been over 100 miles. So our support crew, Georgia and Maggie drove us to the trailhead of the recently constructed Rock Island Spur. 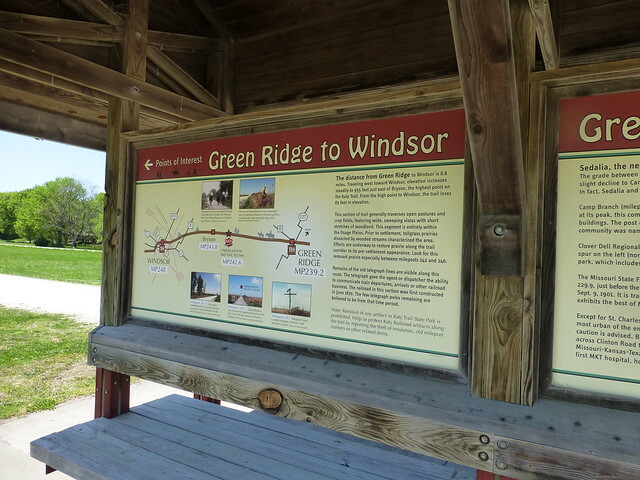 Twenty miles from Chihowee, it joins the Katy Trail in the town of Windsor. 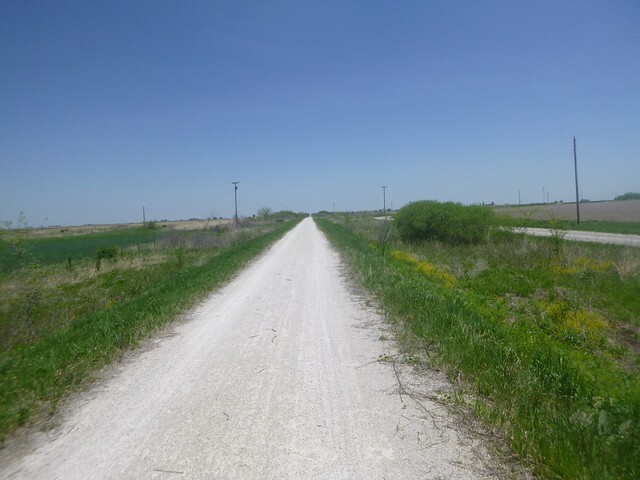 The trail is in excellent shape; the surface is smooth crushed gravel. If it’s dry, you could do it easily with a 28mm tire; I was using a 35mm, and Gene a mountain bike tire. Not so much after a rain, however. Road crossings are well marked. We passed no one on the way to Windsor, and there was very little traffic on the roads. As we approached Windsor, we passed under what was obviously the Katy Trail. 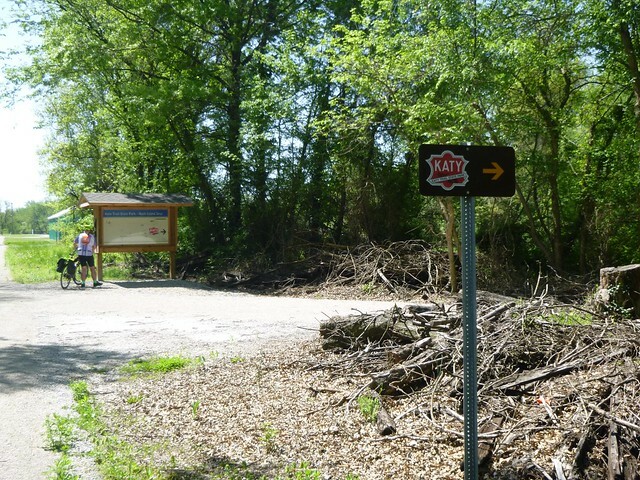 Fortified with comfort food, we retraced our route to the bridge, and followed well-marked path that lead to the Katy Trail. 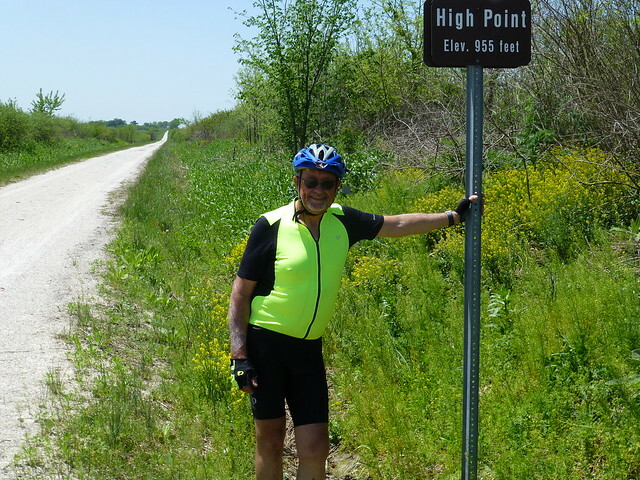 The Katy trail goes through a couple of small towns on the way to Sedalia, and climbs from 550 to 910 feet. It’s almost imperceptible. Most of the trail is covered by an arch of trees, which have grown up on the right of way since the railroad was abandoned. It’s often like riding through a tunnel. 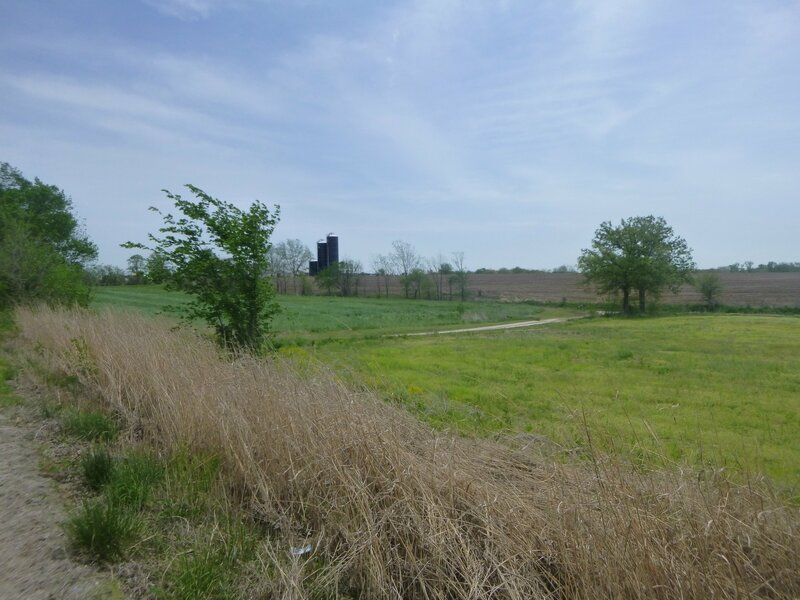 However, several miles were restored to its original condition – prairie grass – by burning the trees. I imagine this will be a hot and miserable stretch during the summer, but in early May it was quite beautiful. 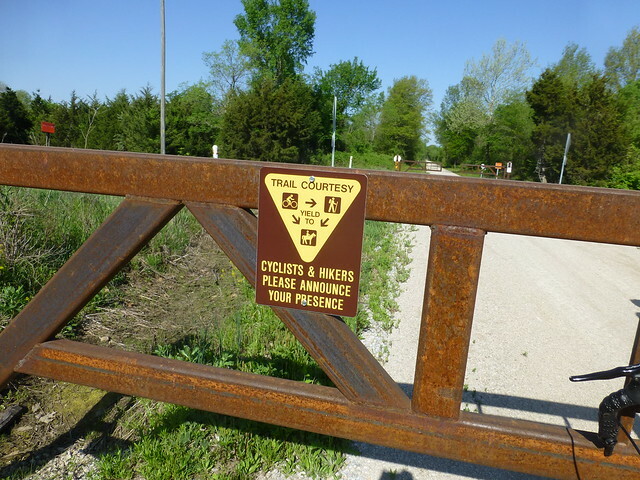 The State of Missouri has constructed trailheads at most of the small towns along the way, and texting pictures of them was a good way to let Georgia and Maggie know where we were. 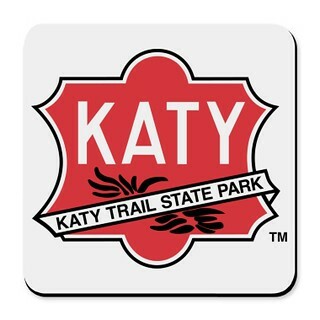 Each of the trailhead shelters, which were 8 to 13 miles apart, had at least a toilet and shade, most had water, and all had interpretive signs letting you know the history of the town, what to look for going east and west, a directory of local restaurants, shops and bed & breakfast accommodations, and a history of the area and of the Katy railroad. We took lots of pictures of the signs and shelters. We finally pulled into the Sedalia train station about 3 o’clock. 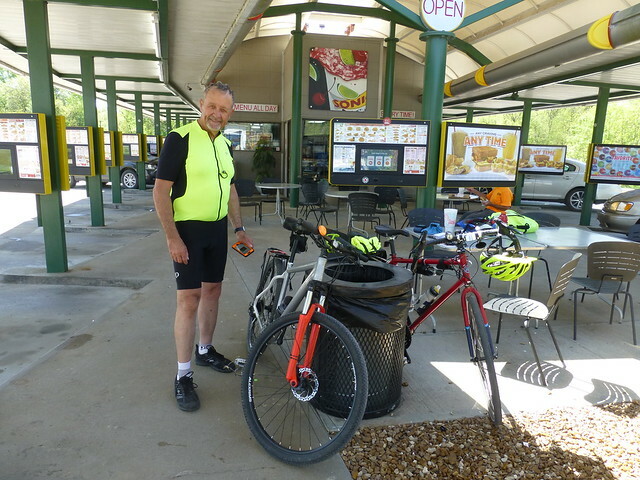 Gene had a slow leak in a tire, and there was a good bike shop in the depot, along with a gift shop and museum. He bought a new tire, and I bought a “Katy Komet” jersey. A couple from Illinois cycled by with a 12 pack of beer and offered everyone a cold one. They had started five days earlier in St. Charles, and were going to spend the night in Sedalia before catching the morning estbound Amtrak. which is actively appealing to a niche catering to bicyclists. They’ll check your bike and take it in a freight elevator to a basement storage room. I was quite surprised the next morning to find at least a dozen bikes parked in the lobby for pickup, and even more so when the room clerk told me that they had been sold out over the weekend with bicycle tours. 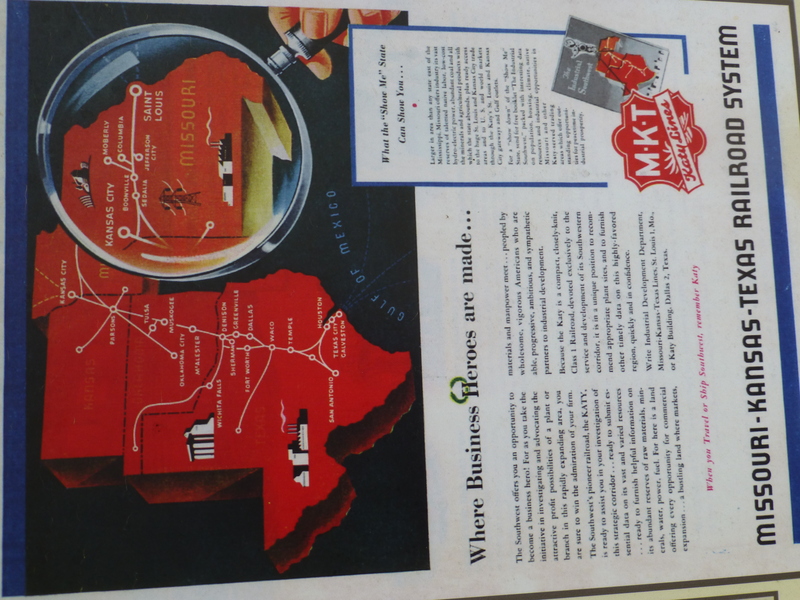 The economic impact to the local economies of the Katy Trail is unmistakable. Georgia and Maggie had taken a detour to visit the extensive quilt shops at Hamilton, Missouri, but they arrived at the hotel at the same time we did. 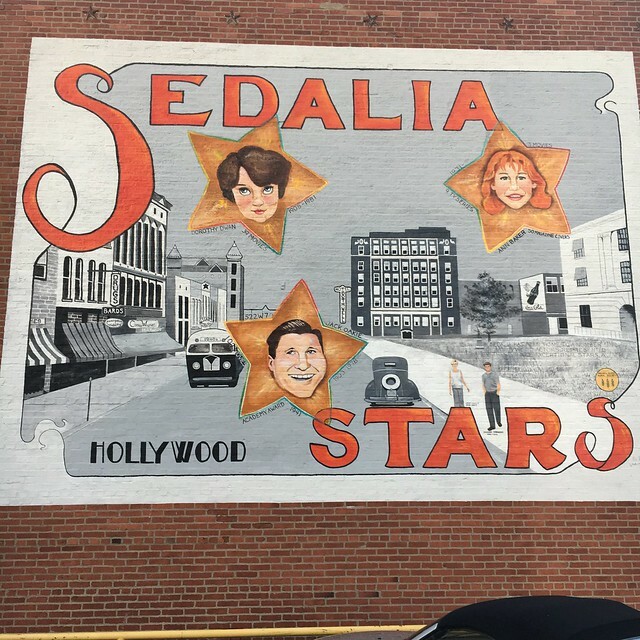 A downtown mural shows the hotel, the courthouse, and some of the (not so) famous stars who grew up here.